The onset of winter weather doesn’t have to keep you out of the saddle. 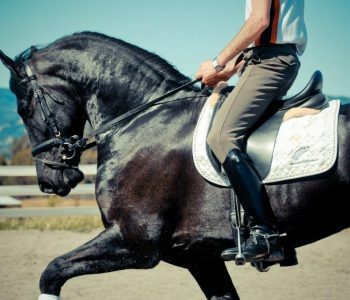 Even without an indoor arena, extra care of both your equine partner and yourself, combined with smart planning, will enable you to exercise your horse throughout the cold months to improve your winter riding. Snow quickly accumulates inside horses’ hooves, until they’re wobbling on giant snowballs. Apply non-stick cooking spray or petroleum jelly on the frogs and soles to prevent this before turn out and riding. Katherine Blocksdorf suggests putting shoe pads on to minimize snow build-up, or removing shoes where possible. Warming the bit is a kindness to your horse. 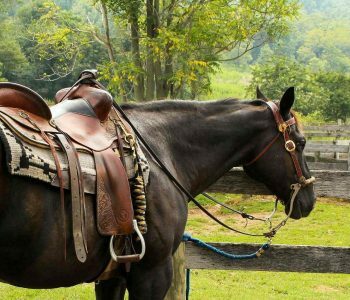 Place it in hot water as soon as you get to the barn, and it will be a comfortable temperature when you’re ready to put on the bridle. If hot water isn’t available, use your hands. 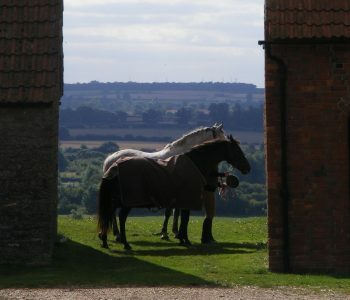 After riding make sure your horse is completely dry before you turn him back out with a waterproof blanket of an appropriate denier count. Ensure your horse has constant access to de-iced water. 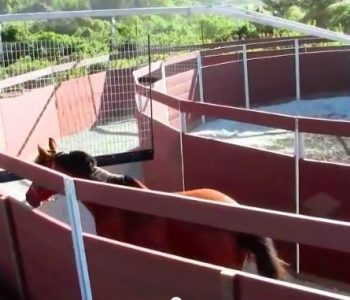 Heated water buckets in the stalls and heaters in outdoor water troughs will prevent the water from freezing. He’ll need extra feed to generate warmth as well as energy. 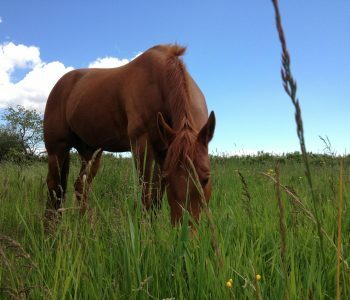 Older horses also need additional forage, and good quality hay should be freely available. Provide shelter from the elements so he can get out of the driving wind and snow. Dress in layers: you can shed some during exercise and put the layers back on when needed. Riding with numb, frozen toes is miserable, and warm riding boots such as Mountain Horse Ice High Rider Wide Tall Boots provide a great solution. They cost under $100 and are insulated, extremely comfortable, durable and waterproof. Wear the thickest gloves you can which allow you to use your fingers. 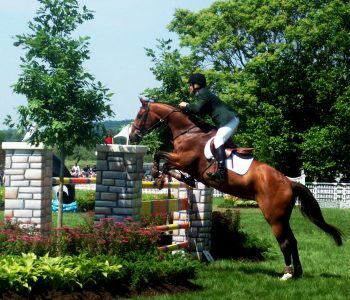 Hydration is as important for you as your horse, so remember to drink plenty of water after riding. 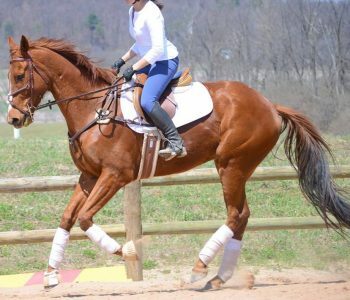 As your riding schedule becomes more haphazard, your horse’s fitness level will decrease. Reduce your expectations of him, as he won’t be able to cover the distances or keep up the pace you’re used to. If possible, examine the safety of the trail where you intend to ride before mounting up, especially if there’s been a snowfall and/or deep freeze since the last time you rode there. 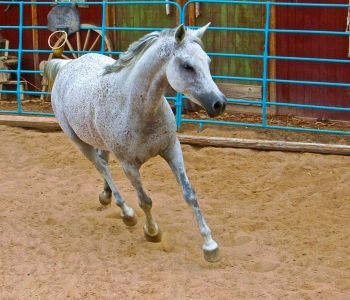 Begin by walking your horse for longer than usual to warm up his muscles, and trot only where it’s safe. Don’t canter or gallop on slippery terrain. If you have a sand arena but are unable to ride because of ice or snow, consider adding a product called Mag Flakes which acts as a de-icer in winter. 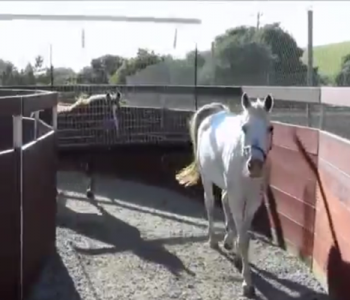 If driving conditions are safe, trailer your horse to a neighbor’s indoor arena. 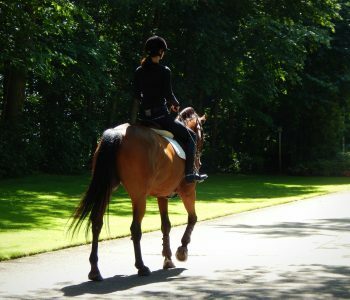 Although riding in the winter can be a challenge, it’s more fun to get in the saddle whenever possible than suffer months of withdrawal symptoms!